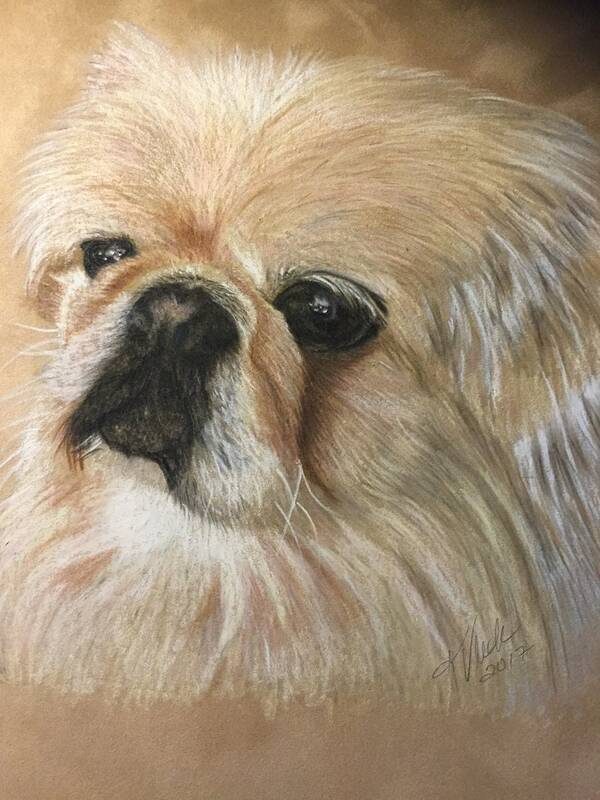 Custom Pet Portraits. 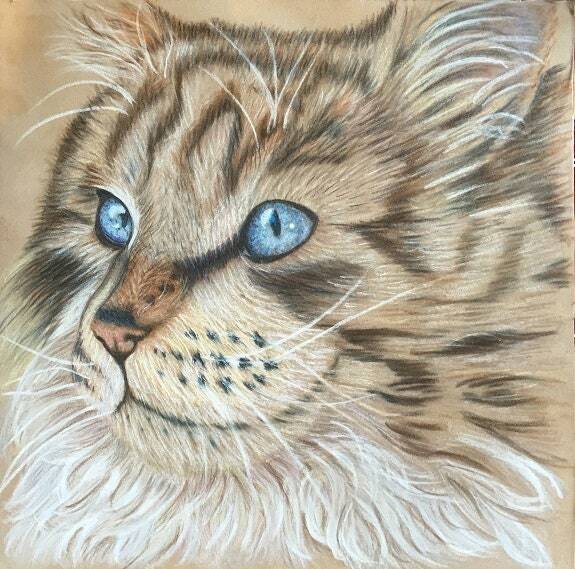 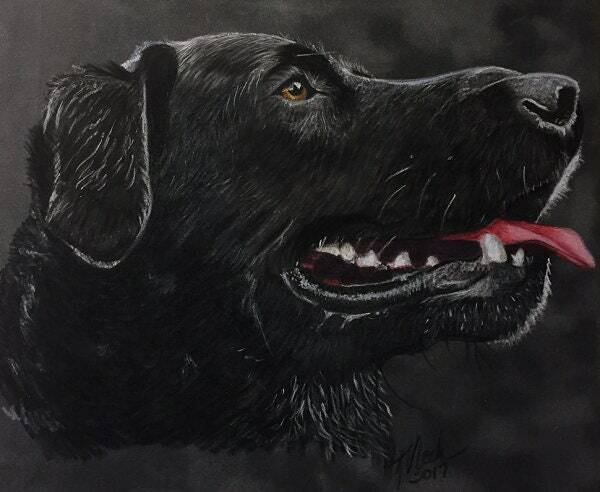 Would you love to have a drawing of your pet? 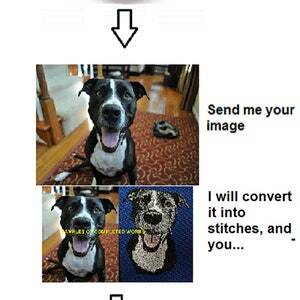 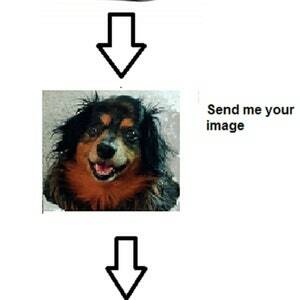 Perhaps you lost the favorite family pet and all you have is a photo. 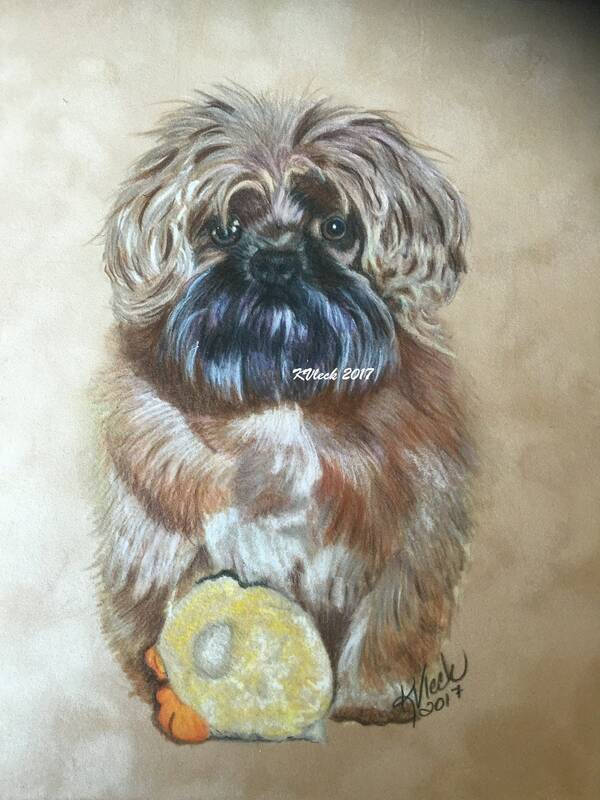 I can make that photo look like your pet and also give you a piece of artwork you can hang on the wall or put on a table to display with pride. 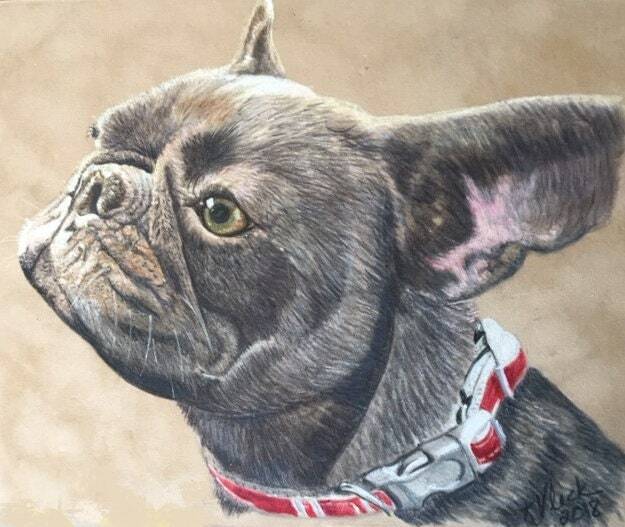 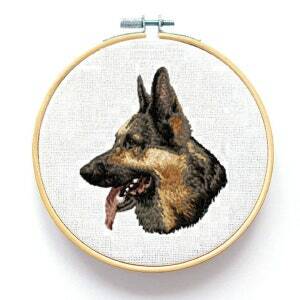 Remember your pet forever with a one-of-a-kind pet portrait. 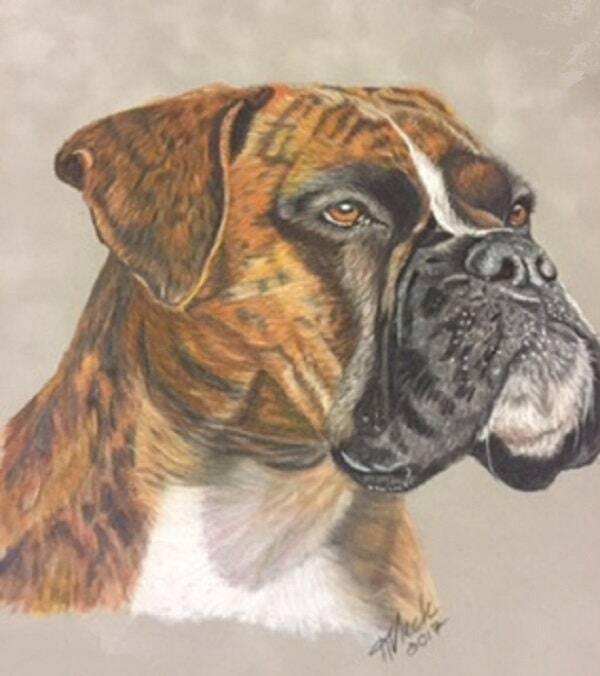 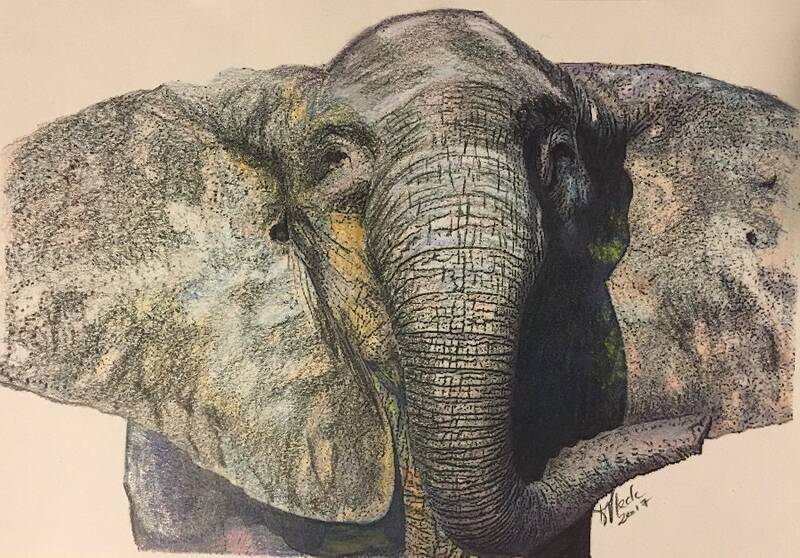 As an award-winning artist with over 40 years of experience, I can help you get a face photo drawing of your family's favorite pet that will last forever. 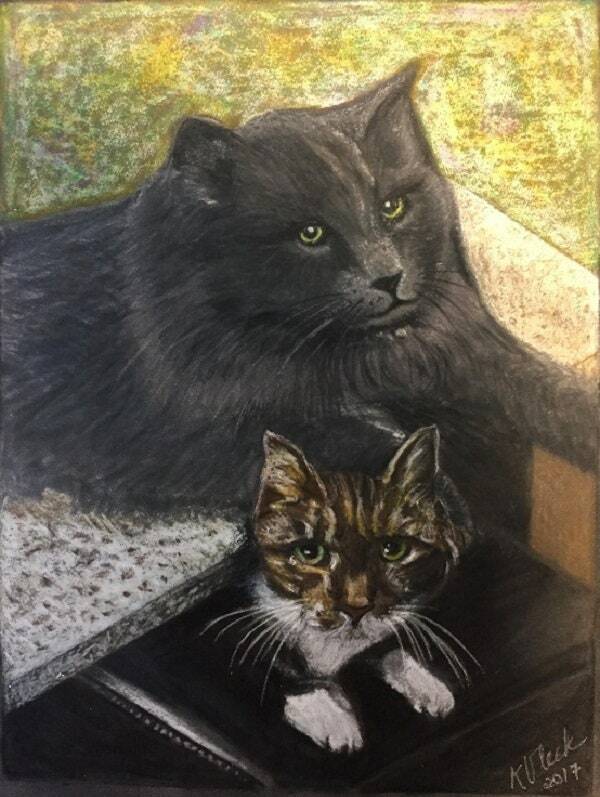 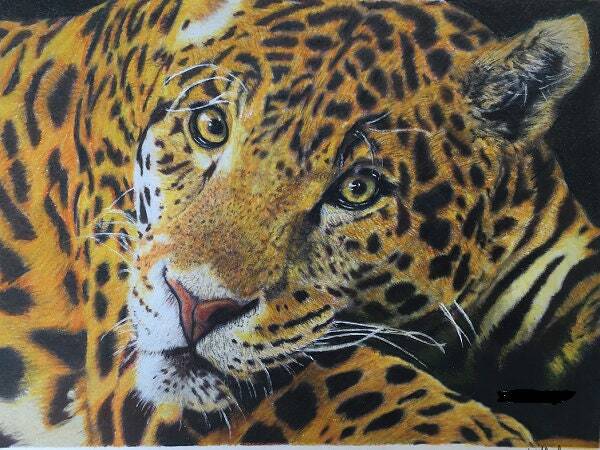 Your Pet Portraits will come to you in a double mat, ready for framing. 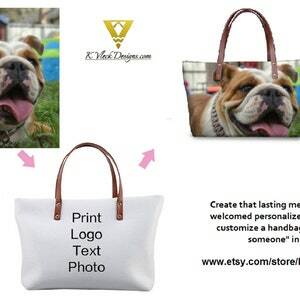 To see more samples of my work, please visit my website at kvleckdesigns.com.